To schedule a meeting with a Century 21 Beach Area Properties real estate specialist in Costa Rica, please fill in the following form. Tell us when you would like to meet with us and we will contact you to confirm availablity. 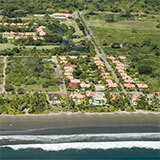 Or if you prefer, send an e-mail to info@bapcr.com, or phone: within Costa Rica (506) 2683-0332.